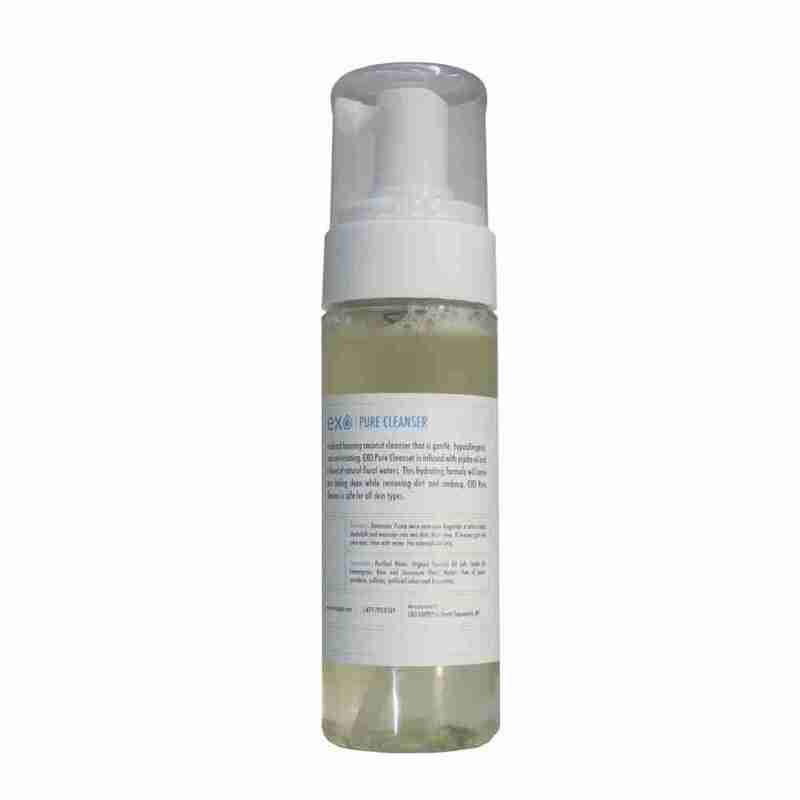 A natural foaming coconut cleanser that is gentle, hypoallergenic, and non-irritating. A natural foaming coconut cleanser that is gentle, hypoallergenic, and non-irritating. EXO Pure Cleanser is infused with jojoba oil and a blend of natural floral waters. This hydrating formula will leave skin feeling clean while removing dirt and makeup. EXO Pure Cleanser is safe for all skin types. Need additional information? Please email us. This is the BEST cleanser! Having my own health & fitness lifestyle blog, I’ve had the opportunity to try many natural and organic cleansers, and Pure Cleanser tops them all. The scent is dreamy, the texture is like a fluffy cloud floating in the palm of your hand, and it’s gentle on the skin. Most cleansers sting the eyes if you get it anywhere near them, which is tough, because you need to be able to remove eye makeup, but this doesn’t happen with Pure Cleanser. If you haven’t tried this product, I highly recommend doing so!